The South in the springtime is pure bliss. 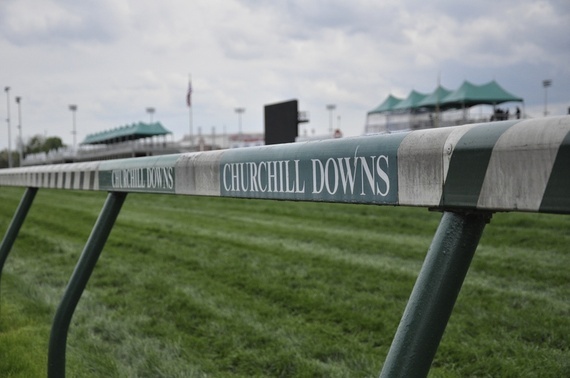 It's easy to think it'd be a little more blissful if you waited a month for the Derby and filled up on mint juleps, but you can avoid the crowds--and steep prices--by visiting Louisville in April instead. Right now the magnolias are in bloom, and it's surprisingly warmer than most northern states still waiting for spring. Besides, that tax return isn't going to spend itself, so why not indulge in little southern escapade? Plane, train or automobile -- Louisville International Airport is an option if you're coming from afar, but it's also worthwhile to drive in, given the views. 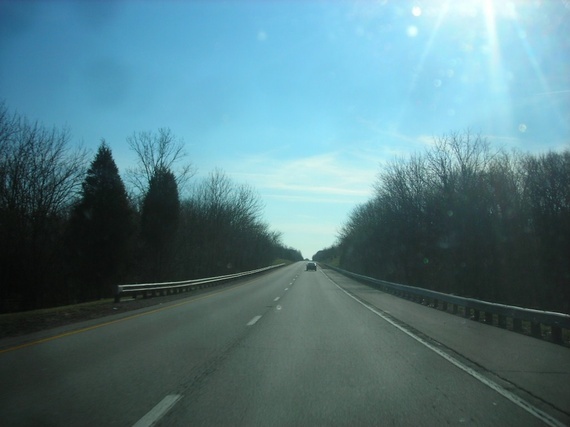 The drive down Interstate 71 from the north is beautiful and hilly, and if you come through Indiana on I-65, the city will greet you with one of its beautiful bridges over the Ohio River. Plus, you'll need a car while you're in town to get out to Bourbon Country. Cheap local transit -- The Transit Authority of River City buses charge $1.75 a ride, and Louisville has a bikeshare program. 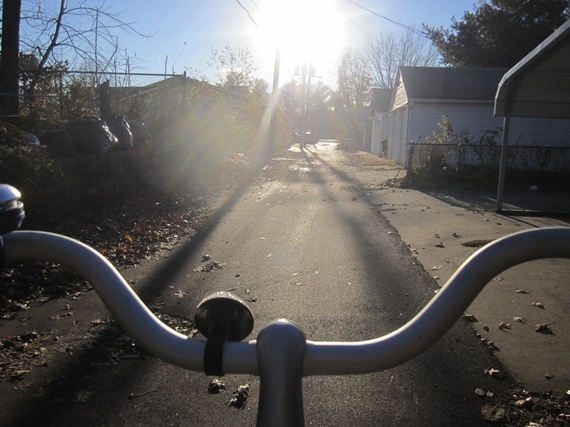 There are also ample bike rental spots in the city, and beautiful paths along the river. 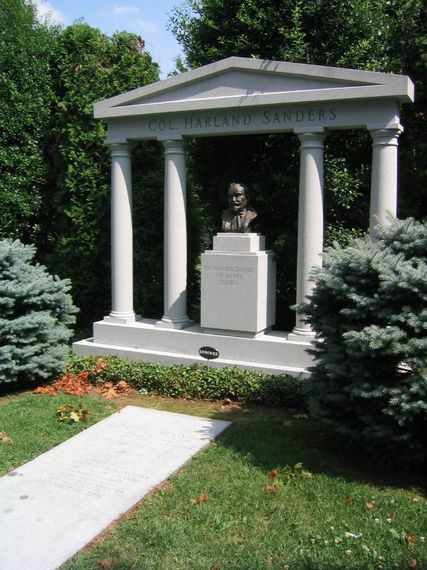 Search for Sanders -- Colonel Sanders is a legend, and rest assured knowing his grave is just as magnificent. He's buried in the sweeping Cave Hill Cemetery. The place is a labyrinth, so prepare for an adventure. Go in through the back entrance and follow the yellow line on the road to his grave. Hear about the horses -- The first horse race of the season is April 30, but don't let that stop you from visiting the home of the Kentucky Derby. There's a very informative Derby Museum, where you'll learn all about the history of thoroughbred racing (there's even a family tree that traces back to one horse), and a cafe where you can try one of the famed mint juleps. They also have a couple horses in a stable if you're ready for the real thing. 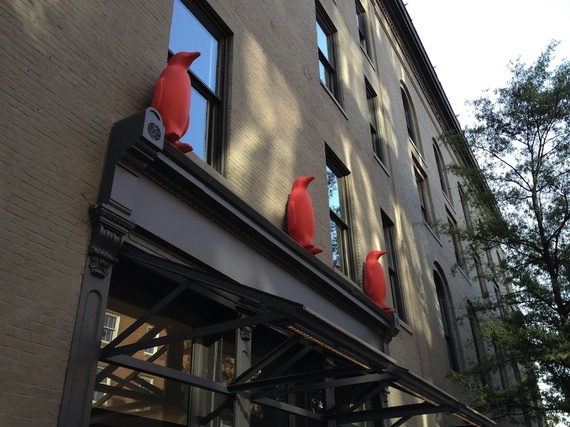 The 21c Museum Hotel in Louisville. Photo: Scott McLeod - Flickr. Marvel at a museum -- There's a museum inside the 21c Museum Hotel in downtown Louisville. It's small, abstract and wonderful, and the best part -- free. The exhibits rotate so go again if you've been there before. You have to walk through the hotel's restaurant to find the museum. After you've got your fill of art, try a bourbon flight at the bar. And that's not the only swoon-worthy hotel in the city. 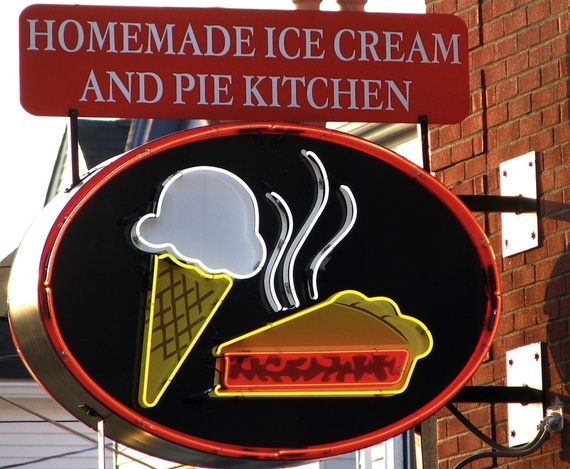 Homemade Pie and Ice Cream on Bardstown Road in Louisville. Photo: Brent Moore - Flickr. Indulge in ice cream -- Homemade Ice Cream and Pie Kitchen is like heaven on earth. It's in a neighborhood called the Highlands, which is hip and college-y, full of bars and restaurants. I'd tell you to swing into this shop for dessert, but justice isn't done unless you get the pie AND the ice cream, so you really should go on an empty stomach. They make everything from scratch. The Woodford Reserve Distillery, an hour outside of Lousiville. Photo: Ally Marotti. 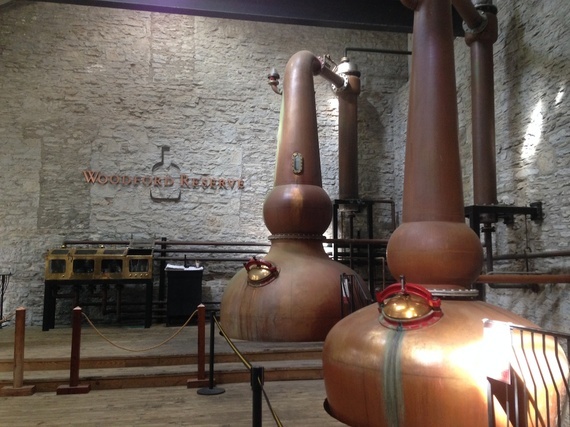 Bask in bourbon -- The Woodford Reserve Distillery is about an hour outside of Louisville, but it's worth the trip. The estate is beautiful, the tour is thorough, and they give you a delicious chocolate at the end of the bourbon tasting. That tax return never tasted so sweet.